Password manager for all modern browsers and platforms. Built using latest web technologies. No download is required. Powerful password manager for Google Chrome browser. Extra secured, features and robustness. have questions or report an issue? 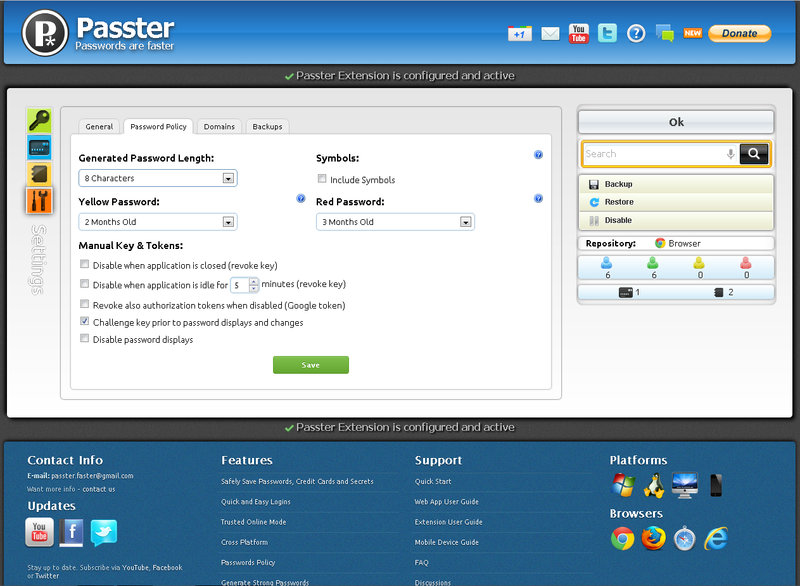 Passter is a web app which encrypts and protects your passwords, credit cards and secrets. It generates strong passwords, and enforces a password policy according to your settings. 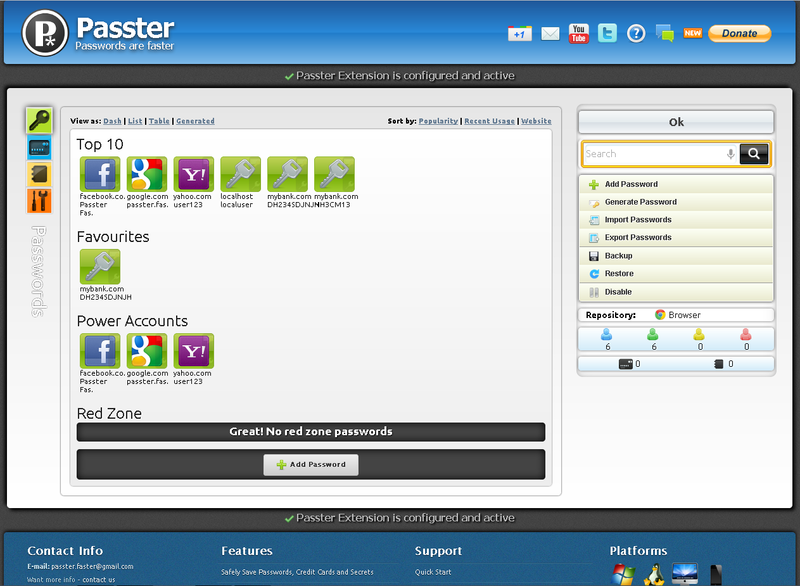 Passter removes the burden of remembering complex passwords, it provide a defense against phishing, and it significantly reduces the chance of identity theft. Built using latest web technology and has a complete integration with modern browsers. Passwords, forms and all other browsing information are always saved encrypted in the password repository (local browser or your Google account) using latest security protocols. You select and monitor the password repository. 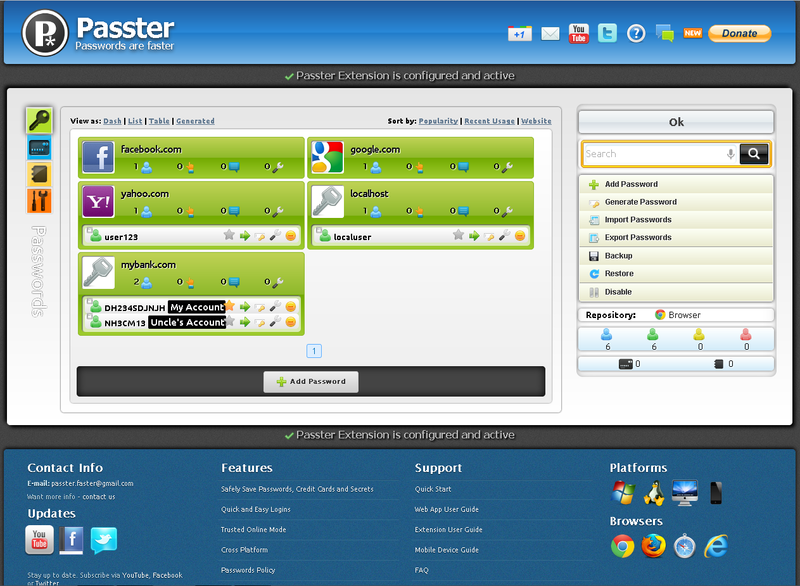 Passter acts as broker in the browser, and can run without the need to open an account. Encrypted passwords are stored in Google Docs™ servers (using SSL protocol), which are large, scalable, protected and highly available. Trust your browser and Google servers. It's not mandatory to open Passter account. Authenticate to Google using OAuth protocol. 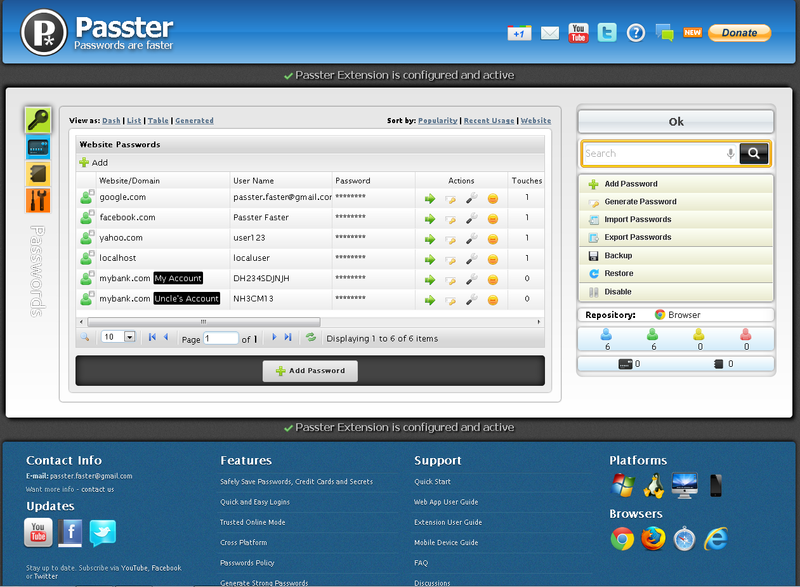 Passter doesn’t require your gmail or your password. It redirects you to Google server using the SSL protocol. Safely synchronize your passwords between different browsers running on different platforms. Complete integration with the browser is available using Passter Extension for Chrome. Free to use by any user and for any purpose. 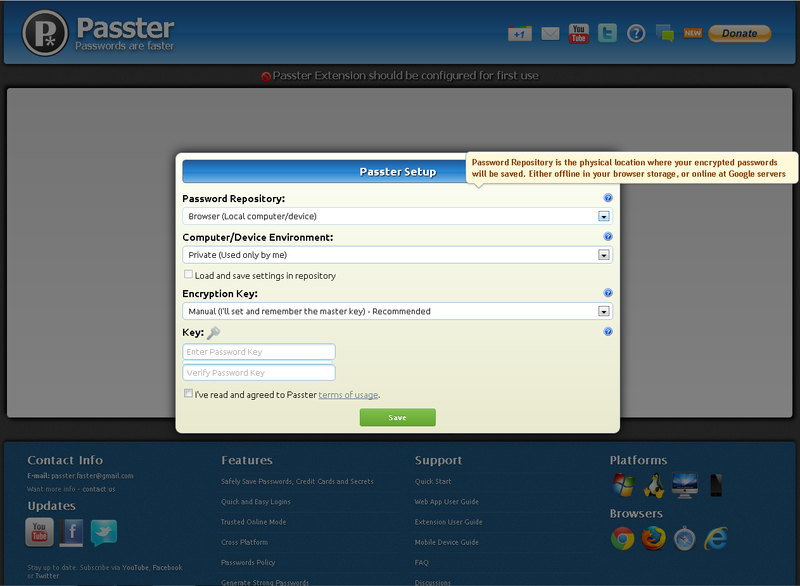 Passter doesn't force you to open an account. 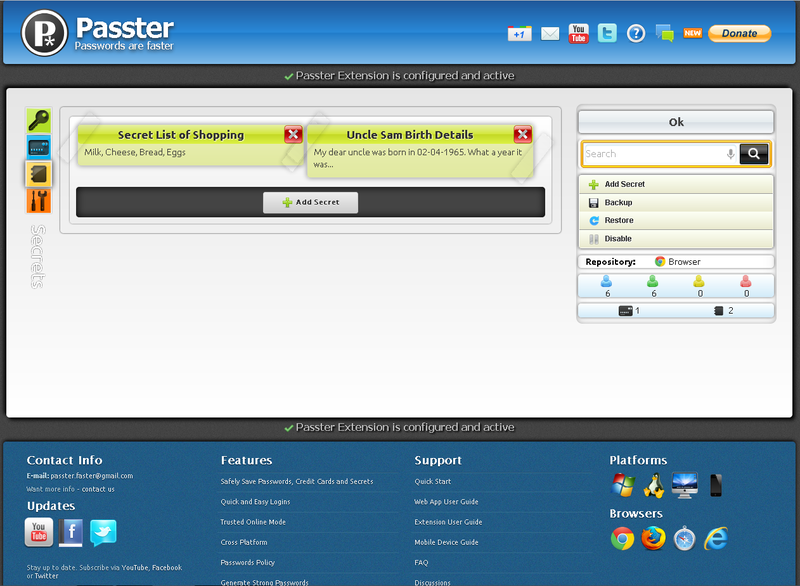 Rebranded Passter, changed logo, new web app for all modern browsers. 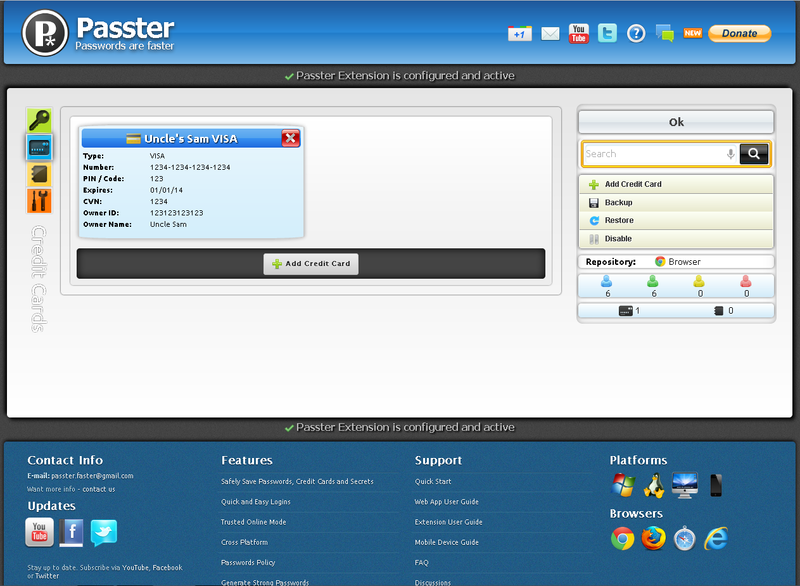 Rebranded Passter, changed logo, changed UI and added many features. I've read and agreed to Passter terms of usage. 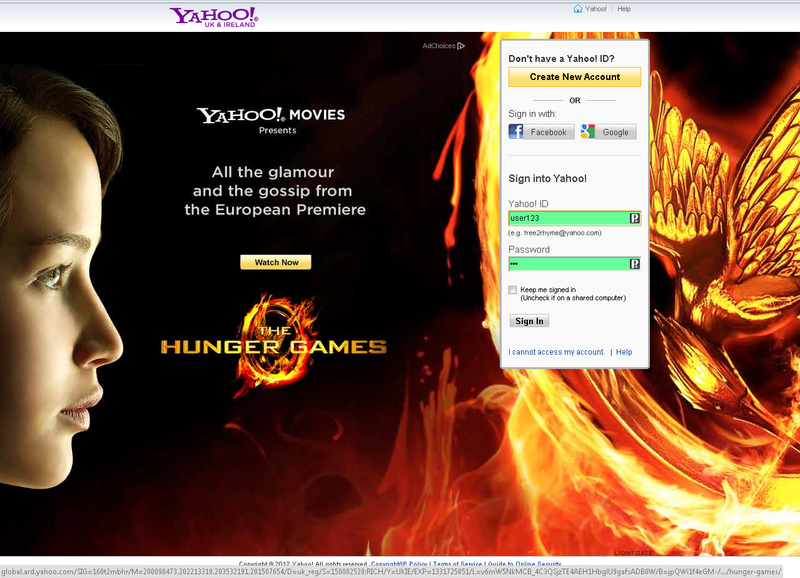 You are about to delete your passwords, credit cards, secrets and settings from this browser. Are you sure? © 2012 Copyright Passter.com All rights reserved. Google Docs is a trademark of Google Inc.